On arrival our taxi will come and pick you from airport / railway station then proceed to munnar.Evening free for leisure.Overnight stay at hotel/resort. After breakfast , Munnar sightseeing , covering Mattupetty lake, Eco point, Top Station, Rajamalai National Park and Attukal waterfall , Tea museum etc.Overnight Stay at hotel/resort. After breakfast drive from Munnar to Thekkady. Check in at the hotel/resort.Afternoon sightseeing in surrounding places of Thekkady.Visit spice market and boat cruise at Periyar lake.Overnight stay at hotel. 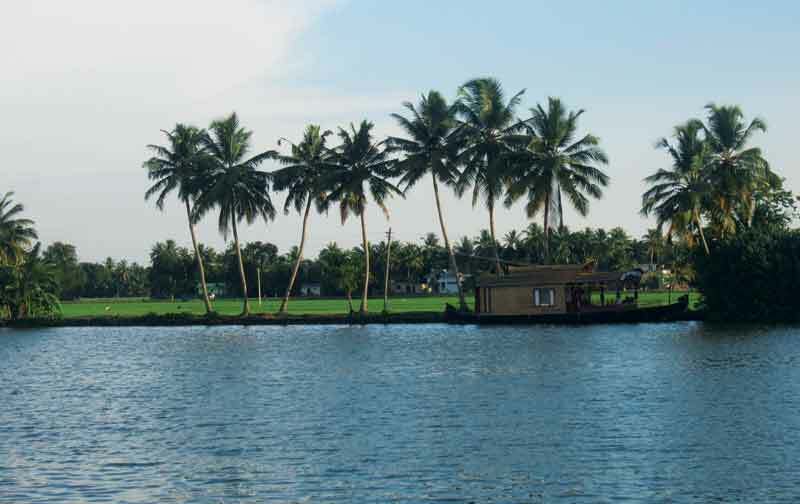 After breakfast drive from Thekkady to Kumarakom.On arrival at Kumarakom board the house boat.Cruise through the backwaters and inland waterways of Kumarakom.Overnight on board the house boat anchored in the middle of the backwaters. On 5th day after Break fast check out from the HouseboatTransfer to Airport/Railway Station.